On Friday, Dec. 31, 1993, the 17th day of the Hebrew month of Tevet, David Bublil and Haim Weizmann were stabbed to death in their sleep in an apartment in Ramle. One of the murderers was Fatah operative Ala Abu Sata. Together with his fellow attacker, he mutilated the bodies of his victims, even cutting off their ears as proof of his act. Two days later Abu Sata was captured, tried and sentenced to two terms of life imprisonment. Issa Moussa, a Hamas operative, has also been serving three life terms in Israeli prison since 1993. Moussa was involved in the kidnapping and murder of police officer Nissim Toledano, which had the country in an uproar 21 years ago. He was also involved in the murder of two other police officers, Daniel Hazut and Mordechai Yisrael, on Land Day (March 1993) at Talmei Elazar junction near Wadi Ara. The potential release of Abu Sata and Issa Moussa came up in discussions of the prisoner-exchange deal that resulted in the release of Gilad Shalit. After a tough argument, they were left in prison. Now Palestinian Authority President Mahmoud Abbas has made the resumption of the peace talks with Israel conditional on their release and on the release of roughly 120 of their comrades, most of them “heavy-duty” murderers, most of them older men. Most of them committed their crimes before the Oslo Accords were signed, or at around that time. This saga, which Abbas is concocting in cooperation with the American and European foreign ministers, is not going unnoticed by the victims’ families. The news that the Palestinian Authority is now demanding the release of the men who murdered their loved ones has been giving them sleepless nights. Geula Delarosa is the mother of soldier David Delarosa, who in 1988 tried to save Rahel Weiss and her three children from a bus that had been firebombed near Jericho. She remembers how David, whose air passages had been severely injured from the fire, fought for his life until he succumbed. She would have been willing to release the men who murdered her son and Rahel Weiss and her children in exchange for Shalit, but the possibility that they might be released “in exchange” or “as a goodwill gesture” for the resumption of the talks upsets her terribly. Dalia Bublil, the sister of David Bublil, who was murdered in the apartment in Ramle, is also firmly opposed to the release of her brother’s murderers. “It hurts so much, to this very day. How would ministers in the government feel if, God forbid, the murderers of their siblings were to be released in exchange for resuming talks?” she asks, bewildered. Elinor Abutbul was 10 years old when her father, police officer Mordechai Yisrael, 35, was murdered. She grew up with pain and loss. She is now 30 and a mother of two. Elinor’s grandmother and David’s mother, Allegra Yisrael of Haifa, says that the release of her son’s murderers will pour more salt into her wounds. Police officer Daniel Hazut, 34, was murdered together with Mordechai. Hazut’s daughter, Sapir, who was 18 months old at the time, knows her father only from photographs. Israel released 1,027 prisoners in exchange for a single soldier. Of that number, 303 were serving life sentences and 148 had been sentenced to several life terms. Twenty of them had been sentenced to more than 10 life terms, and 330 had been prosecuted for the murders of Israelis. Some 427 of the prisoners were responsible for terror attacks in which 569 Israelis were killed (according to an essay by Yoram Schweitzer, director of the Terrorism and Low-Intensity Warfare Research Project at the Institute for National Security Studies). This time, too, the number of terrorists with blood on their hands is very high. The Almagor Terror Victims Association, which has revealed the complete “list of 120” to Israel Hayom for the first time, issues warnings together with countless examples of terrorists “with blood on their hands” who returned to terrorist activity — murder and wounding, or inciting or planning terror attacks. Political sources in Jerusalem say that Netanyahu would have a very hard time releasing terrorists on the list of the 120, except perhaps for a very few. This was also made clear to the U.S., which was very active in the matter because of its belief that this would contribute to the resumptions of the talks with the Palestinians. A close look at the list of terrorists and the atrocious acts of murder they committed shows how hard it is. The “stars” of the list include the murderers of Professor Menachem Stern in the Valley of the Cross in July 1992; the man who stabbed Genia Friedman to death as she was walking on a street in Kfar Saba; the men who kidnapped and murdered the soldier Akiva Shaltiel on the eve of Passover in 1985; and the murderers of Israeli soldiers Yaakov Dubinsky, Yair Pereira and Guy Friedman. Also on the list of the 120 whose release Abbas is demanding as a precondition for resuming talks is the terrorist from Fatah who helped plant the bomb in the Mahane Yehuda market in 1991 that killed eight people; Arshid Hamid Youssef, who was given five life sentences for murdering five people suspected of collaborating with Israel; Osman Bani Hassan, who murdered Yosef Eliahu and Leah Elmakais, two Israeli day-trippers, in a forest on Mount Gilboa in 1985 and was sentenced to two life terms; two Arab construction workers who murdered Zalman Schlein at a construction site where he was building his home in 1989; the men who kidnapped and murdered the soldier Moshe Tamam in 1986; the terrorist who took part in the murder of Simha Levy of Gush Katif in 1989; and Youssef Shamasneh who murdered Ronen Karmani, 18, and his close friend Lior Tubul, 17, on the night of Aug. 4, 1990, while they were on their way to visit their girlfriends in Pisgat Ze’ev. Three men riding in a van with Arab license plates forced Karmani and Tubul into the van at gunpoint. The men took the two friends to a wadi in Beit Hanina where they stabbed them to death. Their bound bodies were found two days later in the wadi between the Ramot neighborhood and Beit Hanina. A wave of anti-Arab riots broke out in Jerusalem after the murders, during which a Palestinian woman was stoned to death. 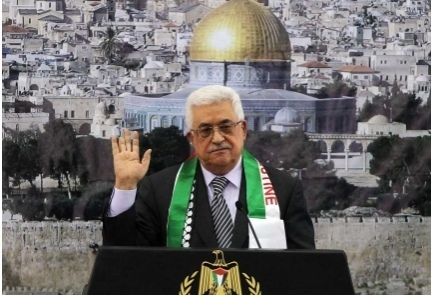 Meanwhile, as Abbas concentrates on the demand to release the 120 terrorists, the groups that do not bow to his authority do not stop at words or veiled threats. They are constantly planning to kidnap soldiers and civilians. In 2011, 11 attempts to kidnap soldiers were reported. In 2012, there were 26 attempts to kidnap soldiers and an unknown number of attempts to kidnap civilians that, miraculously, were unsuccessful. More events of this type took place in 2013. According to the latest official report, 18 kidnapping attempts took place from November 2012 to last March. Only several days ago, the Shin Bet uncovered a military group belonging to Islamic Jihad. Its members, men in their 20s from Hebron, planned to kidnap a soldier near Hebron to use as a bargaining chip for the release of Palestinian prisoners. Two members of the cell, Hazem Tawil and Abdullah Abido, have been convicted in past years of security-related offenses as members of Islamic Jihad, and served sentences in Israeli jails. The members of the cell planned to drive among various bus stations where Israeli soldiers or civilians wait for transportation, shoot at them from their car and kidnap and hide a body, then bargain in exchange for its release. The military court in Judea has handed down 13 indictments against them. Defense Minister Moshe Ya’alon opposes releasing the terrorists at Abbas’ behest, and Netanyahu knows his position. During the dramatic cabinet meeting in October 2011 in which the Shalit deal was approved, Ya’alon, who was not yet defense minister, opposed the deal. Now, as defense minister, his position carries much more weight. One topic on the government’s agenda is the Shamgar Committee report on kidnappings. The report has not yet been discussed. Former Defense Minister Ehud Barak appointed the committee after the deal in which the bodies of Eldad Regev and Ehud Goldwasser were returned to Israel. After Shalit’s release, the committee submitted the second part of its report to the government. Among the topics it dealt with were the questions: Should negotiations for captives be held, and under what circumstances? What are the permissible boundaries? Who makes the decisions? The committee also recommended dispensing with special envoys, whose services have been used so far, and putting the topic under the purview of the defense minister, with the prime minister and the cabinet involved in decision-making as needed. The way that Abbas’ demands are being dealt with is not the way a kidnapping incident is handled. But there are similarities between the two, since this is also a kind of ultimatum, or blackmail if you will. The classified Shamgar Committee report may well contain recommendations about a situation of this kind, which the government must now deal with.